Currently viewing the tag: "average"
Student Property: Just How Great Is The Need For It? When it comes to tactical property investment, it would appear that the UK student property sector could be one of the shrewdest and lucrative choices property investors can make right now. In 2013 over £2 Billion (GBP) was pumped into the student rental sector by savvy property investors who calculated the increased potential yields were well worth the risks. This is because demand for student accommodation is at a record high and seems almost certain to continue increasing due to the growing number of UK and overseas university applications being made by prospective students and the increasing number of places being offered on courses by universities in order to attract student interest. The UK is the current leading host country for attracting international students, with higher demand for places from foreign students than the USA, making our nation the world’s unopposed central student hub, and with good reason, our higher education system is among one of the best in the world, so it is of little wonder that many world leaders are choosing to send their children here to give them a head start in life. And the way current demand for university places is growing suggests that this top education status will not be changing any time soon. This means that in many UK university towns and cities, market rental prices will inevitably increase due to the increased demand for dedicated student properties, and property investors are virtually guaranteed to see a quick return on their investments because of the overwhelming need for their services. Yields in student housing are 5-6% higher on average than the standard residential property in the private rental sector returns are well worth the effort. See the infographic below to view the most important statistics on the current climate of Student Property Investment in the UK today. New data published by HomeLet has revealed some UK private rental sector hotspots for property investors and portfolio landlords to consider. Brighton – PRS fall 18% lower than 2013 prices. Latest figures show that the new national average property rental price being advertised has reached a whopping £1,006 (GBP) per calendar month (pcm). This is the first time ever that the national average property rental price has broken the 4 figure ceiling barrier in the UK. The increase in the national average property rental price has been attributed to continued growth of the London and South East property markets. Property rental prices being advertised in central London have reached £2,300 (GBP) per month, the highest recorded rental average apart from during the Olympic’s in the summer of 2012. Is Your Business in The 99% Failure Rate? This frightening statistic is often bandied about by economists and business analysts but do you know how this affects you and your business? It means that for every one of your fellow property investors reading this, four of them are going to fail in their property business. That just does not sound right to me. 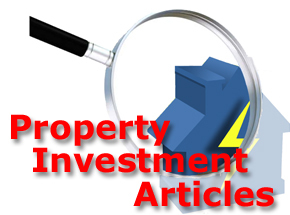 We all got into property investment and business in order to make money right? Well, if you’ve not already checked out the last “Cracking the Property Code LIVE” event, then you may know that we are running the last ever event this Saturday 29th March 2014. And no, this isn’t one of those banal marketing messages you get from one of those “other” companies, it’s true. I’m going to be turning the entire direction of our business in another direction after “CTPC LIVE” so if you want to know how to build a successful 6 figure property business, then I recommend you come this weekend. My 5 stage blueprint guarantees success in any business endeavour and details the fundamental step-changes that each business goes through in order to become successful. follow a straightforward step-by-step process to become one of the top 1% of people in this country earning a six figure income. And the real annoying part – it’s not really that complicated but it does require you to follow each stage fully and take the time out to work ON your business and not in your business. This weekend we run the last ever CTPC; the early bird pricing has gone but there are still some bonuses left to get your hands on. Check it out right now and make a commitment to building your 6 figure business this year. UK property prices are continuing to increase across all UK regions, according to the latest data published by the mortgage lender, Halifax. The latest data gathered in a survey by the Halifax for February 2014, shows that residential property prices increased by 2.4% during the month, making average property prices 7.9% higher than they were in February 2013. The growth in UK residential property prices over the last 12 months is the fastest annual pace of increase since October 2007 and means an average residential property in the UK now costs around £179,872 (GBP). Residential house prices are increasing because of improving economic conditions in the UK and increased demand from frustrated buyers, encouraged by the Government’s Help-To-Buy scheme offering first-time and next-step buyers cheaper mortgages. A recent poll of 27 economists and analysts by news agency, Reuters suggested that residential property prices could increase by another 7% this year, led by activity in the London property market. Property Prices Rise At Fastest Rate For 6 Years…Or do they? The asking price of property is supposed to be rising at the fastest rate for over 6 years, according to Rightmove, however, asking prices actually dropped by 2.4% during October, all but wiping out September’s 2.8% gain. This is the third dip in property prices in 2013. UK property owners have raised the asking price for their properties by 4% compared to this time last year, marking the biggest annual rise in residential property prices since the financial crisis and property crash hit in 2007. The average asking price that UK vendors want for residential property now averages around £246,237 (GBP), according to Rightmove, compared to £252,418 (GBP) in October. It is worth pointing out that residential property asking prices usually fall by approximately 3% in November ahead of the festive season traditional slowdown. So with residential property asking prices falling by just 2.4% in November suggests that the recent upturn in housing market activity will cushion the predictable seasonal drop. Rightmove say that buyers still have a wide choice of property types to choose from as the UK property market is holding up relatively well for first-time buyers, as the number of flats and terraced properties on the market has declined more slowly than the number of detached and semi-detached properties this month. Property prices in the East Midlands were 7.4% higher than they were in 2012, averaging £168,873 (GBP), outpacing property price rises in London. The average asking price for a residential property in London is over three times greater than property values currently are in the East Midlands and asking prices in London have risen by 6.9% year-on-year, to reach a typical average value of £517,276 (GBP). In fact residential property asking prices have increased across most UK regions apart from in the North, where residential property prices have dipped by 0.5% annually to average just £141,426 (GBP). Property prices in Wales dropped by the smallest amount, down by 0.4% to reach a typical average of £165,110 (GBP), while desperate property vendors in London have dropped residential property asking prices by as much as 5% since October. Rightmove said that traffic to its website has increased 30% in the last 12 months, a sure sign of growing demand from would-be property buyers. The property portal also said that the stock of unsold residential properties has fallen from an average of 71 per estate agency branch one year ago to 67. The infographic below shows the increase and decreases in residential property asking prices in November 2013 compared to October. Average PRS Rents Hit New High! The average rent in the UK’s private rented sector has increased to approximately £757 (GBP) per month, the highest level ever recorded, as rental prices increase by 1.8% on the previous month. 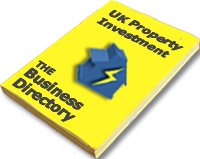 The data is from the latest Buy-To-Let Index, published by LSL property services. PRS rents are 2.1% higher than they were in September 2012 and tenant demand is still strong with lettings activity growing by 9.2% over the last 12 months. Average PRS rents are now £13 (GBP) per month higher than the previous all time record set in October 2012, when monthly PRS rents averaged £744 (GBP) per month. Nine out of 10 UK regions saw rents rise between August and September 2013 with the fastest monthly rise observed in the South East, where PRS rents are 3.3% higher than they were a month ago. UK residential property prices increased by between 0.3% and 0.6% in June depending on which house price index is viewed. Figures released by Nationwide and Halifax have some disparity; however, both report that residential property prices are increasing. Nationwide report that UK residential property is valued 1.9% higher than a year ago with the typical UK home worth £168,941 (GBP). Halifax report that UK residential property is 3.7% higher than in the same three months of 2012. The data from Nationwide shows that the southern regions of England, especially London, continued to record stronger rates of property price growth and London also tops the table of property price growth in the second quarter index. Overall the price of a typical residential property is up 1.4% compared with the same quarter in 2012. 10 of the 13 UK regions saw annual property price rises in the second quarter of 2013, however, Northern Ireland is still the worst performing region with property prices down 2.1% in the second quarter of the year. London property prices increased by 5.2% compared with the second quarter of last year and the city has seen the greatest recovery in property prices of any region with prices now 5% above their 2007 peak at £318,214 (GBP).